Welcome! | Welcome to the Fresh Blog! Welcome to the fresh blog! Fresh has been open for about six weeks now and we’re so appreciative of everybody’s support. With the launch of this blog, we hope to provide you with continuous updates of everything that’s going on at the store, from new lines and arrivals, to sales, events and whatever else. If you found this blog and haven’t yet been to the store, we hope you’ll stop by soon. 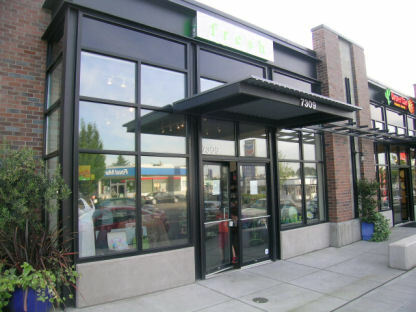 We’re located in the heart of Seattle’s Wedgwood business district at 7309 35th Ave NE. Wow! you’re open. good to hear. been watching your progress on my way to the library & my dry cleaners. Now that I know you’re up & running, will be very, very soon. Look forward to the visit. And Congratulations on your new store!!!! Anyone who hasn’t stopped in this store yet needs to! It’s the cutest! They have such a great selection of so many things. It’s the perfect spot to gift shop or just shop for yourself. I’m telling all my friends what a great shop it is. It was so fun to visit you before our big trip to New York. Your store is fantastic! I want you to know that my Chelsey Henry bag was PERFECT. It was the best size to use as a carry on and I used it all week as we made our way on the subway and in and out of tons of shops. The quality was awesome and it still looks like new! I couldn’t have found the more perfect bag! Even in New York. Best Wishes for a great season..